DataComm is a privately held company, established in 1984. Building upon a strong foundation, layered with tradition, ethical values, innovation and excellence, DataComm has assembled a dynamic team that fuels our continued growth. As we look toward the future, we continue to stay grounded in the past – understanding the challenges of success. Brian Boyer became DataComm’s President and CEO in March 2008, and has been with DataComm since 1989. In his tenure, Brian has served in a variety of capacities including Senior Accounts and Project Manager for many of our existing clients. Brian helped DataComm position itself as a leader in providing the “Power of One” Network Solutions and Managed Services to our Financial customer base with the introduction of many of our managed network and security services, and by helping with our vision to extend our product and service offerings to other verticals markets throughout Florida and nationwide. In his role, Brian maintains DataComm’s focus on the always-evolving needs of the marketplace, forecasting new and emerging technologies and responding to our clientele with innovative and compliance driven solutions. In his role as Senior Accounts and Project Manager, Brian had part in the design, implementation and support of more than 400 network systems covering thousands of our client locations throughout the United States and Caribbean markets. Brian’s prior experience included being an on-air Radio Personality in the North Carolina Market. Brian attended Flagler College in St. Augustine, Florida and the University of North Carolina. He is a Certified Project Management Professional (PMP) and maintains many manufacturer’s products sales certifications. Brian’s leadership has helped name DataComm one of Tampa Bay’s Fastest Growing companies. In his downtime, he enjoys being outdoors, fishing, and spending time with his children and grandchildren. Travis Norris, a graduate of the University of South Florida, joined DataComm in 2001 and has consistently advanced within the corporation. Now serving as Vice President and Chief Financial Officer for DataComm, Travis looks to utilize his long tenure combined with new ideas to continue DataComm’s growth. Travis has brought a freshness to DataComm – incorporating a new look to the marketing, both web and print. He is always looking for better ways for DataComm to conduct business and has put those ideas to good use, creating custom applications that have helped streamline both accounting and technical functions. The “do-it” attitude has also allowed Travis to display his ability to adapt to many job roles. Travis is Sales Certified in Cisco, Citrix, ShoreTel, and WatchGuard. Lee has been with DataComm Networks since May of 1988. Lee has served DataComm in many capacities from building cables assemblies, to order processing, sales and project management. His current position as Customer Service Manager puts him in front of every customer – everyday. Lee supports the sales and marketing team in a variety of roles. His attention to detail means that our customers don’t have to worry about remembering when their maintenance contracts are up for renewal. Need a question answered quickly… Lee is our “go to” resource. Lee and his family live in Land O’ Lakes, where Lee is heavily involved in his church. In his downtime Lee enjoys Golf, and Sports and is a big Tampa Bay Rays and Buccaneers supporter. Scott Crawford joined DataComm Networks in 2007. He has + years of IT experience ranging from system design to managing multi-location corporate networks. Scott now uses his technical experience and knowledge as an Senior Accounts Manager. He attended Edinboro University and is a Graduate from Tampa Tech. Scott currently resides in Tampa and spends much of his time away from the office with his wife and daughter(a new addition to the family). Mr. Grandoff was a bank CFO, COO, or ISO for almost 20 years. In those roles, he acquired, designed or implemented information technology that increased employee productivity from one employee per $1 million in assets managed to more than $5 million per employee. During the last 5 years, he has been a consultant designing and performing audits and risk assessments for numerous financial institutions. His specialties include: Strategic Planning, IT Audits, GLBA and Operational Risk Assessments, BSA Model Validations and Interest Rate Risk Independent Audits. He is a Certified Information System Auditor and a member of ISACA (Information Systems Audit and Control Association) and is a Certified Public Accountant licensed in the State of Florida. Mr. Grandoff continues to work on development of IT audit, risk assessment and security programs to assist financial institutions in their quests to maintain the confidentiality, integrity and availability of their information assets. Don is a highly experienced sales & marketing professional who came to DataComm years ago and has been an integral part of DataComm’s growth from a Cable Assembly company to the full service Systems Integration powerhouse of today. He came to DataComm from Telecredit (now a Fidelity Information Services Div.) where he was VP responsible for National Expansion culminating in setting a company sales record of 10,000 new accounts in a single month. Don holds a business degree from the University of Southern California. DataComm was founded over years ago discovering a niche market in custom computer cables for large mainframes and Miguel was hired that year as DataComm’s first Production Supervisor. His skill in quality control, design and database inventory management, set the tone for all new managers as DataComm opened new departments as the company grew into its present size. Mike joined the DataComm Team in the spring of 2013 as a Physical Security Specialist. He brings with him years of experience designing and installing security solutions that include: Video Surveillance, Access Control, and Loss Prevention. Mike later transitioned to your ShoreTel Team where he installed and provided support for many levels of the ShoreTel Unified Communications Platform. Mike now serves as Project Manager at DataComm; where he plans, allocates resources, and oversees the execution of projects for many of our services. His experience and continued education prove to be a great asset to our team. Mike proudly served as a United States Marine for eight years receiving technical, security and combat training and was deployed in support of Operation Iraqi Freedom in 2006. After being honorably discharged, he worked as a licensed Armed Security Officer protecting multi-million dollar assets under contract throughout the southeast. Mike also graduated from the University of Phoenix with a degree in Information Technology and certification in Project Management. Mike is also a certified EMT. He currently spends his free time with his wife and family enjoying outdoor activities. Donna Coutts joined our team in the capacity of Technical Customer Service Manager. Donna comes to DataComm after many years at a Florida-based Community Bank. 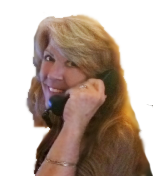 Donna has extensive experience in Technical Support and Network Administration. Donna is very familiar with all of DataComm’s Solution and Service Offerings. In her role, Donna assists our Help Desk and Project Coordinators with customer interface. She assists our Sales Account Team Members as your liaison. Donna contacts our managed service customers frequently to review service tickets and open projects. Donna helps our team stay on track with onboarding new customers, she makes sure customers get timely responses to support needs and questions, helps clients stay on top of their vendor due diligence, and more. With her background she is able to provide direct support for some network requests. With her financial background, she has even more to offer. Donna began her banking career in 1975 in many capacities from Training Specialist to Help Desk Support, Network Administrator, to Technology Manager. Donna resides in Old Town, Florida where she and her husband share their home with a variety of animal “Family”. In her downtime she enjoys boating and day trips throughout Florida. We hope you’ll get the chance to meet Donna soon. Happy Customers: We love hearing from you! All testimonials published here have been added with permission from those who submitted them. Please feel free to send us yours! To ensure operational integrity and maintain necessary regulatory compliance as a service organization for our customers, DataComm has successfully completed the comprehensive SOC II Type II internal control audit. By maintaining the SOC II Type II certification, our goal, as a service provider, is to deliver the assurance to our customers and prospects that we meet or exceed an extensive list of controls in both our business and technical operations. The SOC II Type II certification reduces the need for our customers to build certain controls into their IT infrastructure in order to comply with Sarbanes-Oxley 404 (SOX) and Gramm-Leach-Bliley Act (GLBA). As part of the audit process, DataComm’s systems and processes undergo extensive evaluation and testing, including: security monitoring, change management, system development life cycles, backup controls, physical and environmental safeguards, logical as well as physical access and other criteria. Given the substantial costs associated with non-compliance with SOX and GLBA, the SOC II Type II audit compliance should be part of every organization’s checklist when evaluating third party service providers. As a fast-growing company we are proud to be able to provide our customers the assurance that comes from this auditing process. At DataComm, we remain committed to maintaining the highest compliance standards set for the industry. "Mitel’s built-in management tools are the easiest administration tools we’ve ever seen. DataComm made our Mitel implementation and phone system conversion simple with little to no impact on our employees or customers."